With more than 20 green spaces in the area, the Urban Stewardship Program is made up of a network of volunteers to promote and maintain green spaces in the Fargo-Moorhead area through educational outreach and engagement opportunities with a focus on the Urban Woods and Prairies Initiative. This initiative aims to restore key ecological functions along the Red River including reduced threat for flooding and protecting wildlife habitats. As a new program, Urban Stewardship has 20 stewards ranging from undergraduate students to working professionals. Kaitlyn Kiedrowski ’21, Mia Vu ’19, Amy Saldana ’20 and I are among these active Concordia students and are taking the Environmental Policy and Politics course with political science professor Dr. Ken Foster. The PEAK graduation requirement is also fulfilled in this course. In an urban setting such as the Fargo-Moorhead community, green spaces are especially crucial for wildlife and humans. Urban expansion in many communities has turned various wetlands, woodlands and other eco-spaces, which all play vital ecological roles, into built-up areas. To maintain the well-being and health of the land, we must maintain the continuity of a regional landscape pattern, protect biodiversity, and conserve soil and water to provide habitats that meet the needs of native wildlife and vegetation. For humans, green spaces provide areas to enjoy and learn about nature, instilling a strong sense of community. Bush believes “engaging people with the outdoors at a young age is critical for fostering an ethos of conservation and love of the outdoors that helps define the Upper Midwest.” Audubon Dakota leads several different events to educate the community about wildlife and being responsible citizens of the earth. 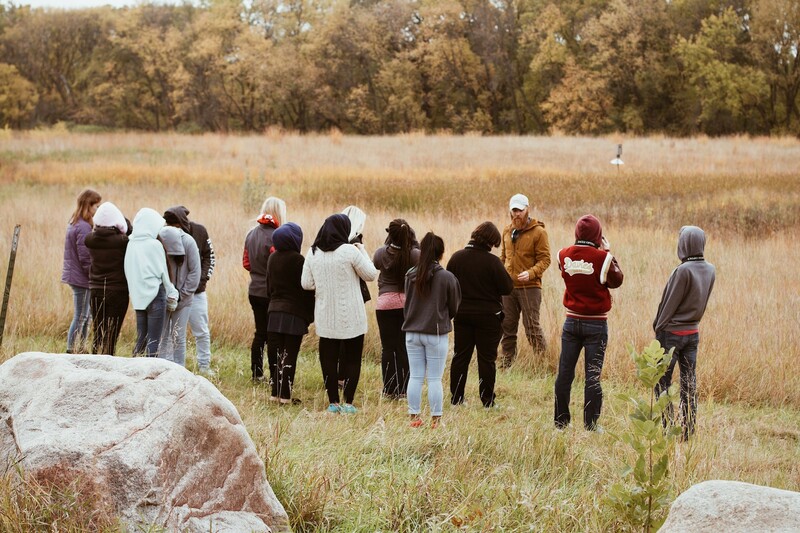 Partnering with local schools, businesses and nonprofits has allowed Audubon Dakota to reach a wider audience with these educational events. One of the educational events includes a Fall Family Photo session at River Oaks Park in Moorhead. Families gathered together to have professional photos taken by Kiedrowski. Children crafted bird feeders, colored leaves and took part in other games. This was beneficial because we were able to expose more people to this beautiful space in Moorhead. Most of the families had never been to River Oaks before, so I was glad more people know about it now. Fargo-Moorhead has many green spaces the community can and should take advantage of. 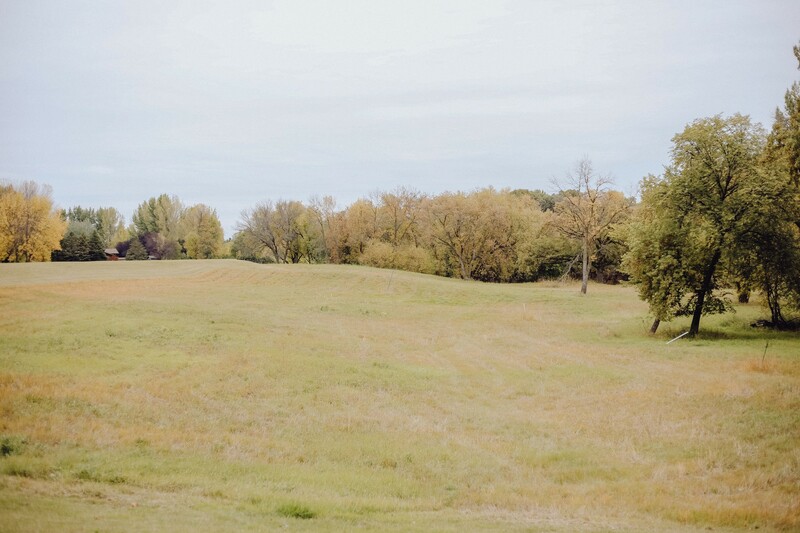 These spaces are ideal for picnics, hikes, get-togethers, outdoor workouts, sports, dog walks and so much more. You can also practice mindfulness by setting aside all your troubles and immerse yourself in nature by hearing the rustle of leaves and the songs of the birds. It’s mindfulness meditation in its simplest form. The parks also offer amenities such as fields, playgrounds, picnic tables, sports courts, and even outdoor skating rinks for the winter. They also offer an opportunity to feel a greater sense of revitalization, energy and enjoyment by reconnecting with nature while learning about wildlife and conservation. If you are looking for a break from studying, working, or everyday routine, explore the beautiful outdoor spaces that Fargo-Moorhead offers. For more information, check out @ecospacesfm on Instagram to engage with the green community. Ellie O'Brien '20 is a social work major at Concordia College.